Guest house Dun Huang Qing Lu Tai Kong Cang Ke Zhan is conveniently situated in Feng Qing Cheng Dong Men 18Hao Lou (Jin Niu Nong Zhen Suo ) in Dunhuang in 949 m from the centre. 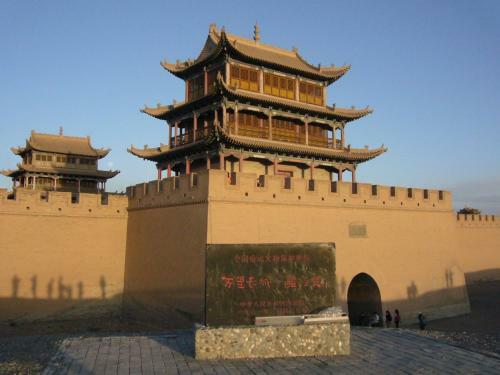 The nearest Dunhuang Airport is situated in 11.7 km from the guest house. A range of guest amenities: internet services. Guests can use cash-only payment. Guests can choose one of the 4 rooms in the guest house. Guests can easily choose between different types of rooms: double, single. IMPORTANT: Due to local regulations, Dun Huang Qing Lu Tai Kong Cang Ke Zhan is only able to accept guests who are Chinese nationals. Guests must present a valid PRC Identification Card at check-in. If you are not a Chinese national, please choose another property.